IF YOU’RE LIKE ME, flying never gets easier. The whole experience is very stressful. No matter how many hacks you follow to try and make it easier, anxiety will always get the best of us. We always fear security, we always fear not getting to the gate on time, we always fear taking off and getting into the air safely, we fear the tiniest bit of turbulence, landing, the claustrophobia kicks in when everyone is trying to get off the plane, and making sure our bag also landed at the same airport. So, yeah, flying is not always my favorite thing to do, but if you are like me, you continue to do it because you have family to visit and places to see. 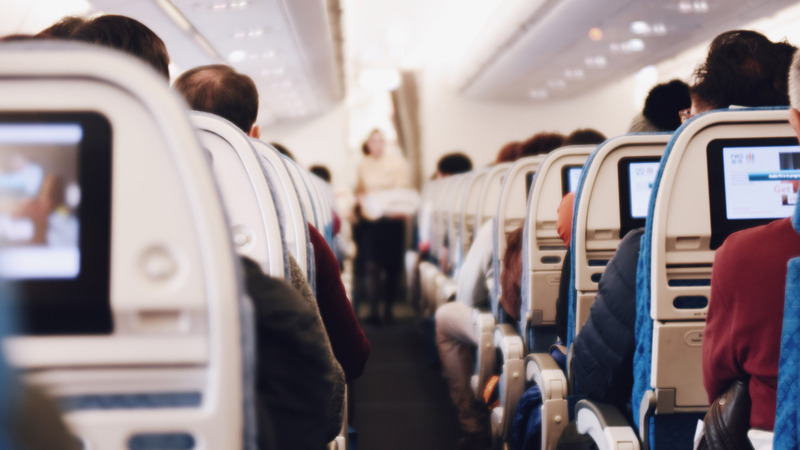 With these little tips and tricks, there are ways to fight off your anxiety before you even get to the airport, for a more relaxed experience. You know you deal with anxiety. You know it happens every time you fly. So, instead of letting the fear take over and ruin your experience, face it. Admit to it and say, “I will NOT let you control me.” You control the fear. Remind yourself that nothing is going to happen, and you are going to land at your destination safely. Don’t be afraid to ask anyone for help. That’s what airport agents and customer service workers are there for; to answer your questions and get you to where you need to go. Even on the plane, don’t be embarrassed to talk to the flight attendants, there job is to make this trip as comfortable as possible for you. You have a voice, so don’t be afraid to use it. Express how you are feeling or if you need anything. Meditation and breathing techniques are a great way for reducing anxiety. With some ambient music and your own space, you can slow down your heart rate and relax your mind. Don’t focus on anything, but the music and the peace around you. If you feel the anxiety coming on, do something to take your mind off of it. Listen to positive music, watch a movie, read a book or magazine, listen to a podcast, or a game on your mobile device. Do whatever it is you enjoy and let it distract you. Self-medicating with alcohol, sleep aids, or anxiety meds; can cause rebound anxiety and make you feel worse. Also, it could trigger a black out of some sort or enhance your emotions in a negative way, so please be safe about your decisions, and don’t self-medicate. There are so many ways to overcome anxiety from a travel experience. Don’t let it get the best of you. You are stronger than you think, so show the anxiety who’s boss and enjoy your flight.